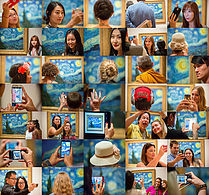 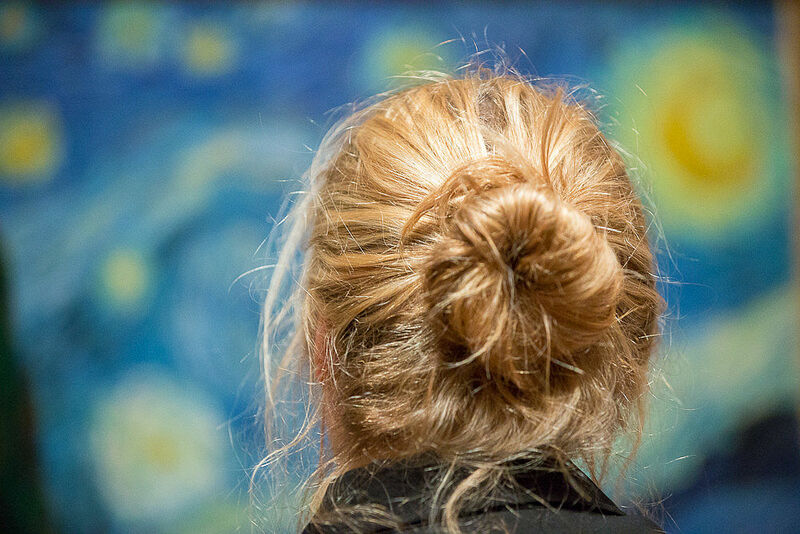 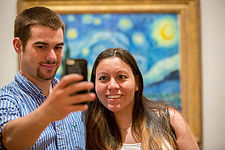 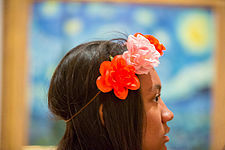 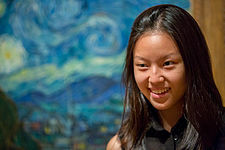 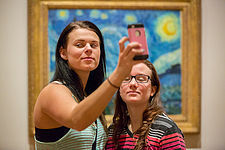 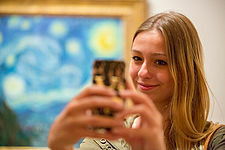 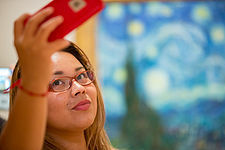 In April and again in July 2015, I photographed visitors in front of Van’s Gogh’s Starry Night at the Museum of Modern Art in New York. 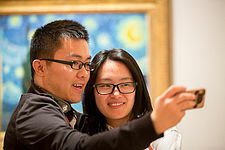 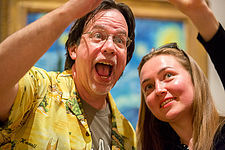 Rather than actually looking at the painting, these “star struck” fans often seemed more interested in documenting themselves in the presence of the original artwork. 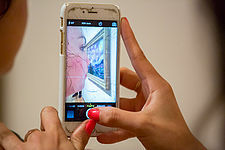 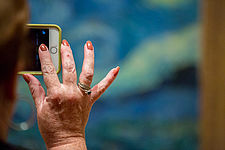 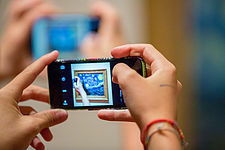 The crowded gallery itself became a portrait that spoke eloquently about our ever-increasing obsession with the aura of the original at a time when technology, such as the ubiquitous iPhone, permits endless reproductions that seem to push the real ever further away. 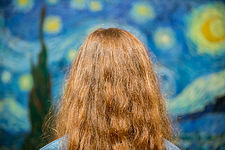 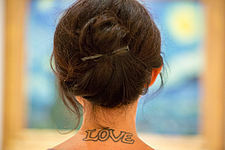 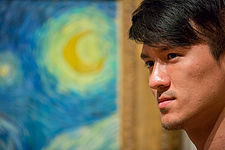 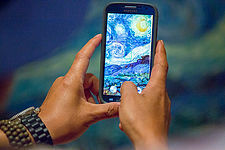 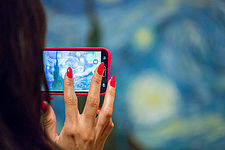 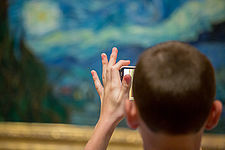 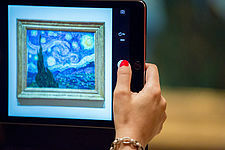 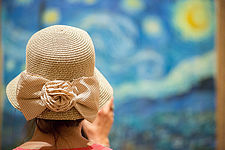 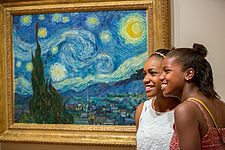 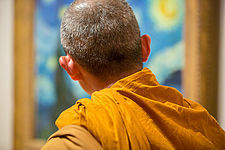 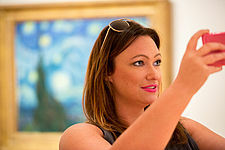 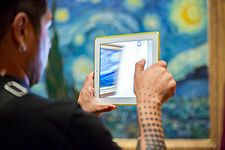 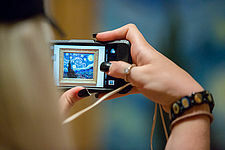 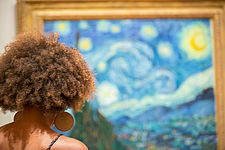 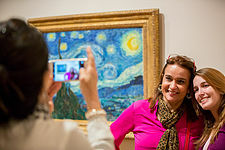 As the photographs attest, Starry Night has been co-opted by fame and celebrity, which in turn make it difficult to view the painting as a work of art. 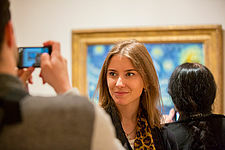 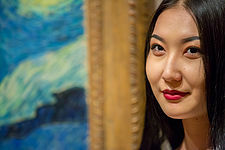 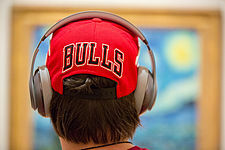 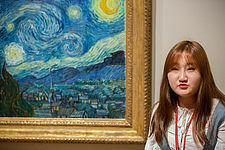 I have included in this series thirty-five photographs of visitors in front of Starry Night, and then, in the thirty-sixth image, a collage of the first thirty-five photographs. 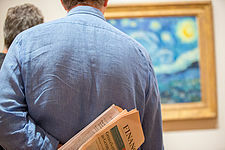 To me, the collage conveys the experience of standing in the gallery and feeling crowded, overwhelmed, and pushed aside.